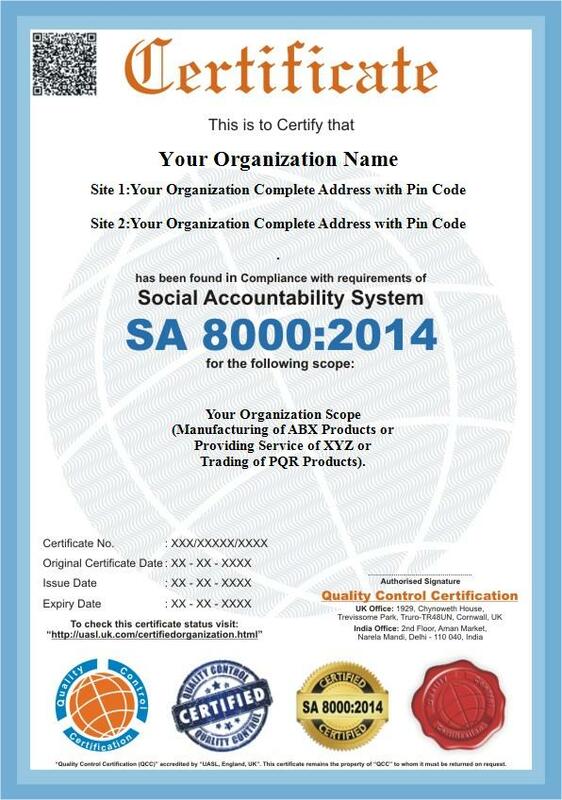 Quality Control Certification has implemented SA-8000 Certification in more than 100+ organization across the India. We have a team of auditors who are expertise in Implementation, Training & Auditing. SA stands for Social Accountability, 8000 is the standard & 2014 is the revision of year. This is a social compliance certification standard that encourages organizations to develop, maintain and apply socially acceptable practices in the workplace & provide common guidelines for worker in hiring, remuneration, access to training, promotion, termination or retirement not based on race, national or territorial or social origin, caste, birth, religion, disability, gender, sexual orientation, family responsibilities, marital status, union membership, political opinions, age or any other condition that could give rise to discrimination. This standard provides the guidelines for child labour, sexual harassment, women cell, health & safety cell & discrimination which are world wide acceptable. It was developed in 1997 by Social Accountability International, formerly the Council on Economic Priorities, by an advisory board consisting of trade unions, NGOs, civil society organizations and companies. This streamlines the complexities of navigating industry and corporate codes to create a common language and standard for measuring social compliance. As it can be applied worldwide to any company in any industry, it is an extremely useful tool in measuring, comparing, and verifying social accountability in the workplace. It measures social performance in 8 areas important to social accountability in workplaces, anchored by a management system element that drives continuous improvement in all areas of the Standard. It is appreciated by brands and industry leaders for its rigorous approach to ensuring the highest quality of social compliance in their supply chains, all the while without sacrificing business interests. 1. Prepare documentation as per the compliance of standard. 2. Make Women Cell Committee, Health & Safety Committee and Worker’s Committee and make heads of each committee. 3. Make the Social Performance Team. 7. Select team of auditors & conduct Internal Audit. Internal Auditors should be qualified. 8. Do Social Accountability planning & review meeting. 9. 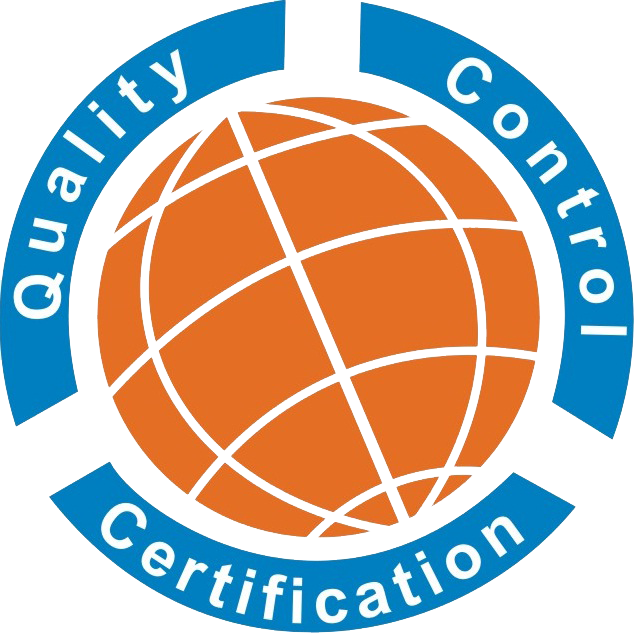 Select the Certification Body (Quality Control Certification). 10. Go for Audit Process & after successfully completion of audit, certification body will award the organization “SA-8000 Certificate & Audit Report”, which can be asked/verified by organization’s client. What documentation are require for an organization for compliance of standard? Health & Safety Policy & etc. Procedure for Handling of Incidents of Discrimination & etc. Format for SA Commitment Declaration & etc. Quality Control Certification have complete Command on SA 8000 Certification in India. So Choose the Best and forget the Rest.